Combination of cosmetic methods is a key to achieve best aesthetic and natural looking results. “Tools” used by experienced cost=metic physicians at VISTA Clinic Australia in Melbourne. Experienced doctor will tailor cosmetic procedures to individual’s face or body. Make them working in synergy, to potentiate each other and give 1+1=3 effect. What forehead wrinkles mean for health? 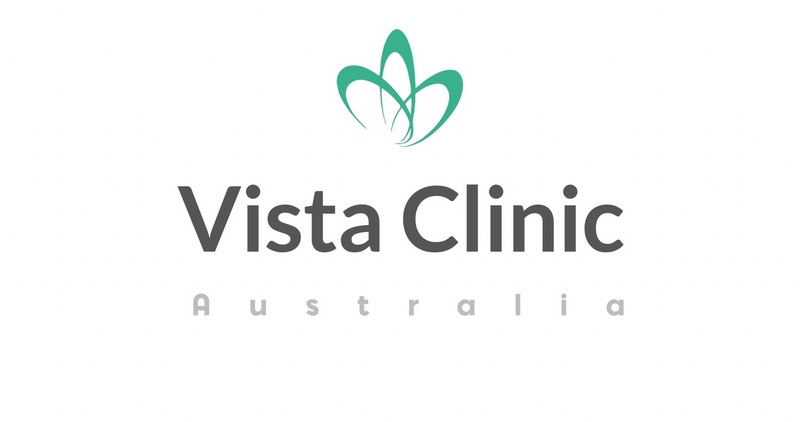 VISTA Clinic Australia practices comprehensive patient care, which include interpreting early signs of health hazards, which are commonly looks like just a beauty concern. In 2018, at the annual meeting of the European Society of Cardiology in Munich, very interesting study has been presented. Researchers were observing a group of people for 20 years and discovered that degree of forehead wrhinkles is correlated with a risk of heart disease, stroke etc. 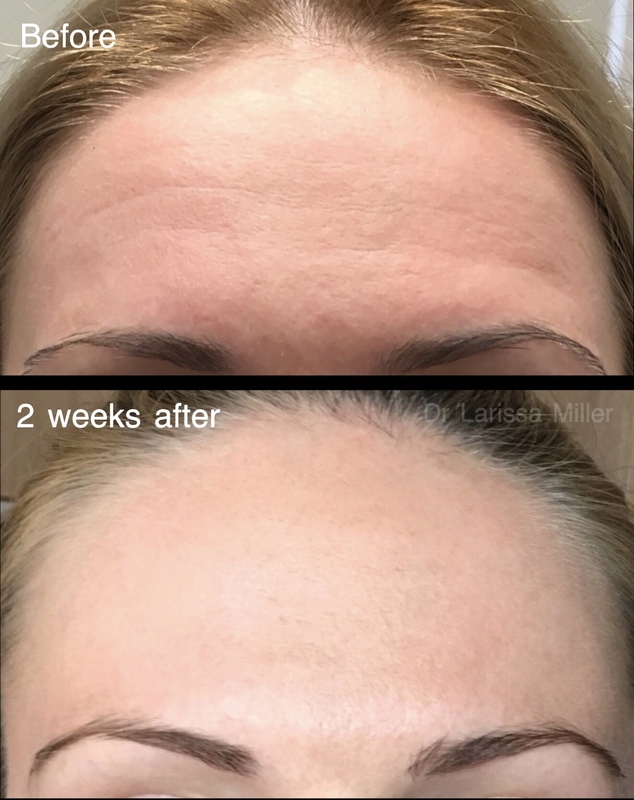 Scientists aren’t sure why this connection exists, but they think it may be that forehead wrinkles are a marker of atherosclerosis. According to the National Institutes of Health, atherosclerosis is when plaque builds up in someone’s arteries, which can limit the flow of blood to your organs and potentially lead to heart attack, stroke or death. Why we have wrinkles in the forehead? Muscle covering forehead, called frontalis, is contracting in movement and the skin architecture is being broken. As we age, our bones are getting smaller, and the forehead muscles compensate the bone loss with over activity. There is a strong genetic component in wrinkles distribution. Some people get forehead wrinkles earlier than others. 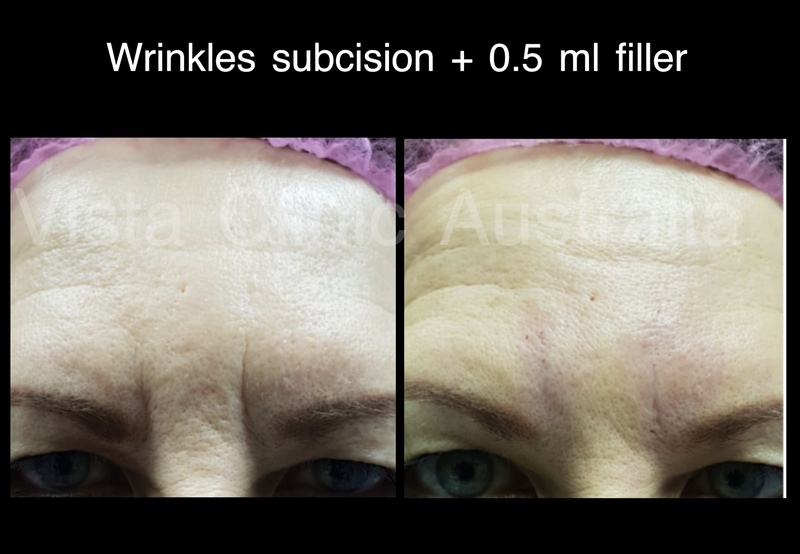 Our doctors at VISTA Clinic Australia are experienced in dealing with forehead wrinkles in the best way. What are options for acne, rosacea or inflamed skin in forehead? Hair line and eyebrows proximity make forehead skin more prone to irritation and excessive oil production. Oily glands are attached to hair follicles and are nutrition for opportunistic bacteria or mites. Cosmetic doctor will assess the problematic skin on a special machines and provide patient with the best treatment plan. Strong prescription only medications (topical gels/creams as a 1st, more safe option, but tablets sometimes needed). 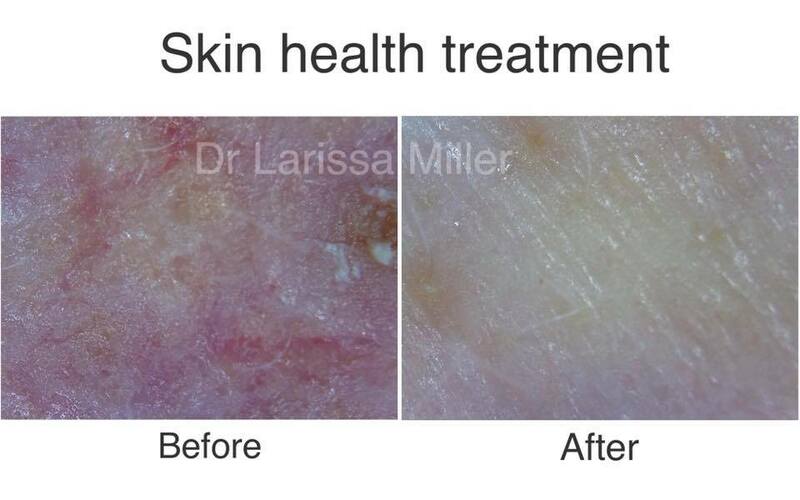 Course of peelings – VISTA Clinic Australia has own lab with over 75 peels for best customization to particular problem skin. 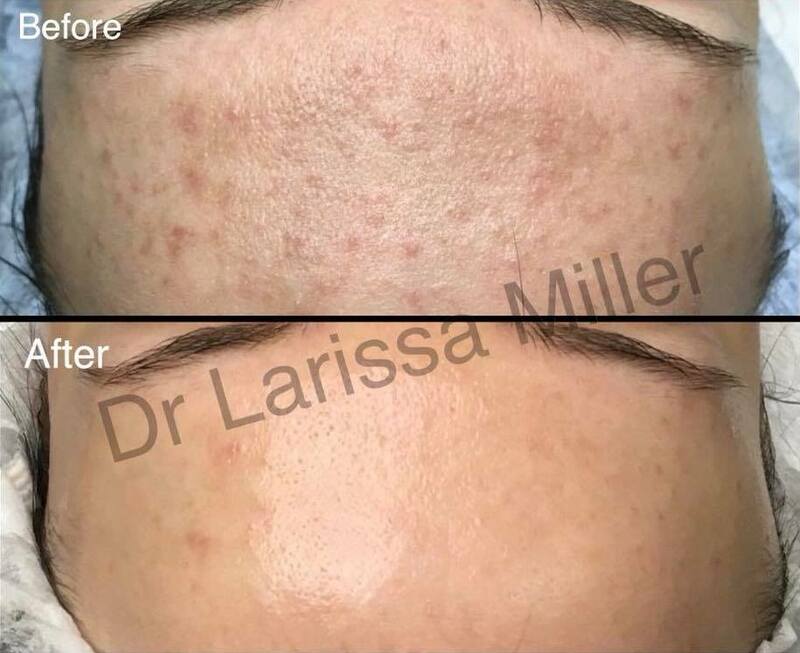 mesotherapy – injection of active ingredients into the acne prone skin (acne formed deep under the skin structures, therefore needs to be injected for quick result and avoidance of scar). What are option for forehead and glabella lines without butulinum toxin? With growth of natural healing trends, cosmetic doctors at VISTA Clinic Australia receive such requests more and more often. 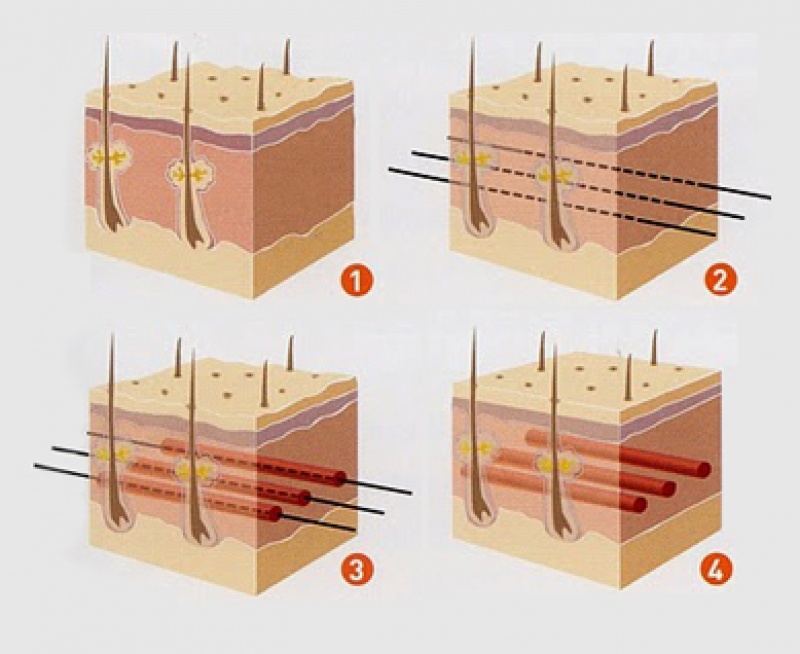 There are number of “natural” alternatives and most popular are subcision (permanent wrinkles release) with collagen stimulating mesotherapy (cocktail of natural moisturizer – hyaluronic acid – and vitamins). Filler also working great in case of visible depressions and underlying bones irregularities, but such injections are considered the most advanced level of injecting and ideal knowledge of anatomy. It is recommended only for doctors to approach such areas with fillers. 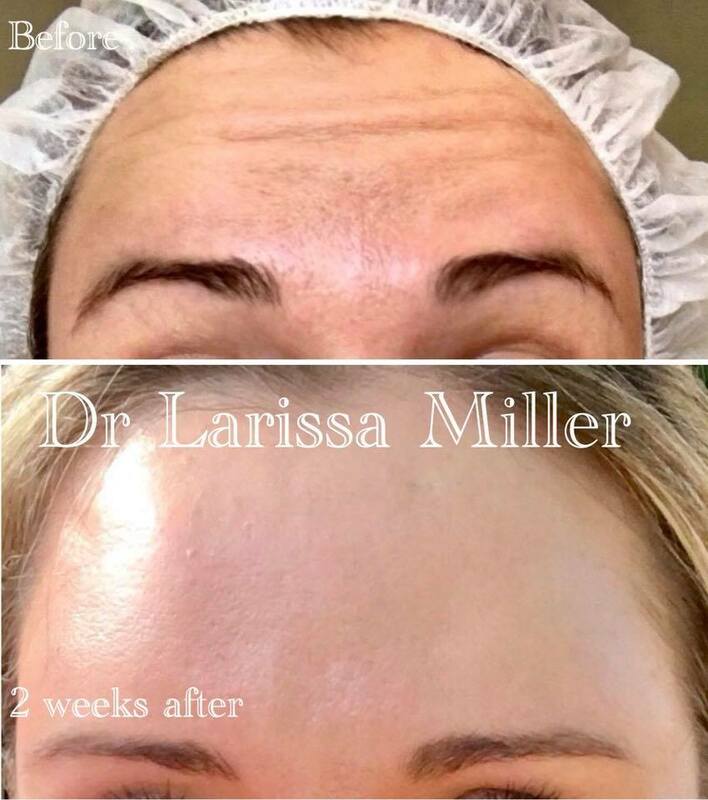 Results are amazing, filler in the area lasts longer than in more mobile areas – around 1 year or more. I have residing hairline. Hair are lost or more thin. What can be done? Common problem VISTA Clinic cosmetic physicians see at the clinic. Causes include stresses, hormonal changes, genetic component, Iron deficiency (or other nutritional defects), thyroid over-activity and many others. Our experienced in hair loss cosmetic physician will address the cause during the counsulation. How threads are used in forehead? VISTA Clinic Australia offers a comprehensive range of cosmetic and medical treatments to our cosmetic patients. Experienced cosmetic doctors are well equipped with a lot of tools to chose the best for each individual. There are different types of threads and cosmetic doctor will choose the best option for you. More info about threads you can find here. 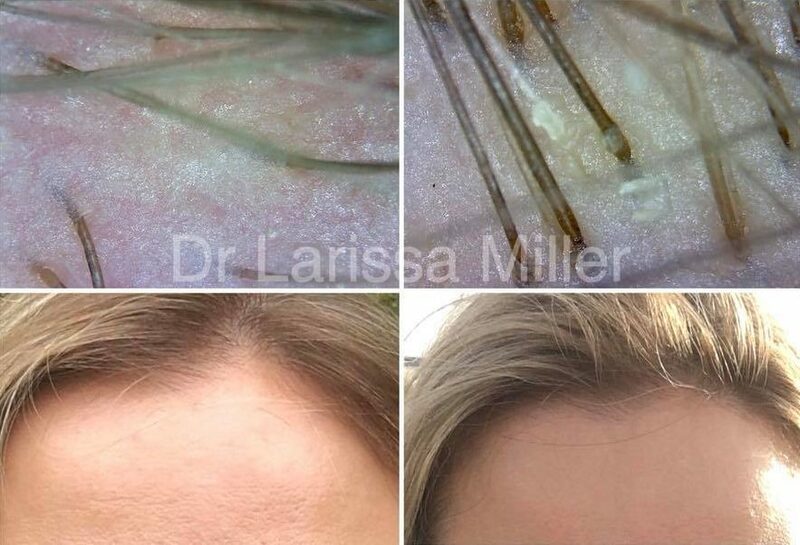 Threads help to soften the deep wrinkles of forehead by filling in the wrinkles, softening scar tissue and also by stretching the forehead skin. Also, cosmetic practitioners at VISTA Clinic use threads for eyebrow lift.